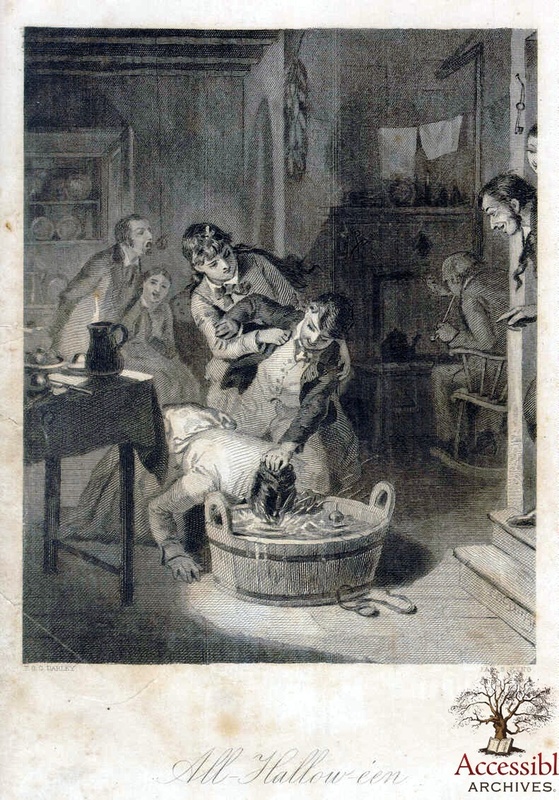 In some ways Halloween is fairly recent phenomena, and incredibly old in others. The roots of this holiday we all know and love come from around 2,500 years ago in Celtic tradition. The festival of Samhain, or Summer’s End, was celebrated on October 31 and was all about the transition between seasons and preparations for the harvest. In later years, the powers that be in the Christian church sought to bring pagans into the fold and appropriate many of their traditions and celebrations in the Christian calendar. Thus October 31 became All Hallows Eve and November first turned into All Saints Day, both of which are holidays that have to do with prayer, death and ancestor/saint worship rather than the march of time. In the Victorian era, Halloween was mostly celebrated in the UK, but it was gaining popularity in the US by the 1870s as well. In a funny historical side-note, it was often regarded as an Irish “import” to the US because the Catholic Church was into celebrating it as a day of prayer. During this time people would sometimes go door to door in their neighborhood and sing, not unlike many Christmas traditions, and would be rewarded with festive treats. The promise of mischief if these treats weren’t delivered came later. 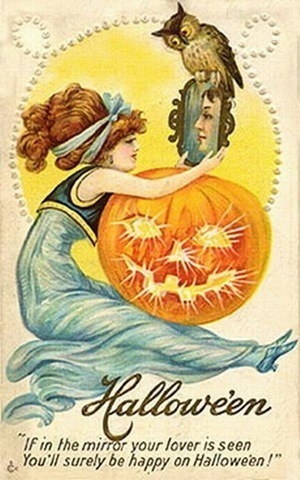 The term “Trick or Treat” didn’t become popular until the 1920’s and is an American adaptation of the holiday. Many ladies’ magazines like Godey’s and Petersons featured tips about how to hold a fabulous Halloween party. This included instructions for making paper decorations and costumes for kids. Paper had become very easy to come by and cheap due to industrialization, and it made for easy clean-up the next day. Halloween party games included pin the tail on the donkey, bobbing for apples and a variety of sooth-saying rituals. For instance, couple would write their names on nut shells and cast them into the fire. If the shell cracked they were in for a bumpy year, if the shell blackened but did not break they were going to marry. Young women were also sometimes sent into a dark room and told to select from a variety of boxes, each containing an object that had some sort of significance for the year to come. Bloody Mary and other games are on off-shoot of this darkened room game. Phoebe Darqueling is a novelist and blogger who specializes in Steampunk, and will be coordinating a collaborative Steampunk novel in 2017! Find out more.